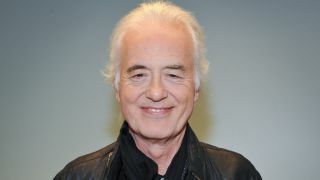 A transcript of Jimmy Page’s testimony at the recent Led Zeppelin Stairway To Heaven plagiarism trial has been published in full. Guitarist Page and singer Robert Plant gave evidence at the trial in a California court in June, after which they were cleared of having copied the opening sequence of Stairway To Heaven from Spirit track Taurus, released three years before the iconic Led Zep song. Now the full transcript of Page’s testimony has been published by Rolling Stone and can be viewed below. Asked when he did get the first Spirit album, Page says: “It was after the internet comparisons came up, which is a few years ago. My son-in-law brought it to my attention that there was a comparison of Stairway To Heaven and a Spirit song, and I said that I’d like to hear it. “And what happens is, I know that in my mind that there were two records that I had, which is the second album and the third album, and then it turns out that I’ve got the Twelve Dreams Of Dr Sardonicus and even a Spirit live album, which is like a double album. Page adds that, other than the comparison between Stairway and Taurus that he heard online, he had never heard the Taurus song before. The jury was asked to grant one-third of the writing credits to the estate of late Spirit guitarist Randy California, who wrote Taurus. But they ruled that Taurus “was not intrinsically similar” to Stairway To Heaven’s opening. Lawyer Francis Malofiy, who represented Spirit, is currently serving a three month suspension for his conduct in an earlier rights trial. Malofiy has started appeal proceedings against the decision, saying that it was unfair that the jury never got to hear the side-by-side comparison of the two songs. LOS ANGELES, CALIFORNIA; WEDNESDAY, JUNE 15, 2016 2:10 P.M.
Q. Mr. Page, thank you for being here. I know you came from all the way over from the UK. If you recall, we had a deposition many months ago. Do you recall that? Q. Okay. And we spent a lot of time together asking questions in regards to this case. Do you recall that? Q. And also in regards to this case, you had put together a declaration. Do you recall that? Q. And in your declaration, you had indicated that you actually had Spirit’s first album. Do you recall that? MR. MALOFIY: All right. Now, this exhibit is at 373, and we do have that. I’d like to mark it and move that into evidence, Your Honor. THE COURT: Sure. While they’re doing that, if you could move that microphone a little closer to you so we can pick up your voice. THE COURT: That’s good. Thank you. MR. ANDERSON: Your Honor, our records indicate that Exhibit 373 is – is not a declaration. Looks like the back of a Spirit album. MR. MALOFIY: That’s what I said (indicating). MR. ANDERSON: Oh, I thought you said declaration. I’m sorry. THE COURT: Any objection, counsel? MR. ANDERSON: No, Your Honor. THE COURT: Okay. It may be marked. THE WITNESS: Excuse me. Can I – can I have a look at exactly what that album is? MR. MALOFIY: Sure. May I approach, Your Honor? THE COURT: If you wish. Q. You recall that album, right? Q. And you recall that album because it’s in your collection? THE COURT: Well, he’s – I’m assuming – we’re all assuming that it’s not that exact album. MR. ANDERSON: Thank you, Your Honor. Thank you, Your Honor. THE WITNESS: Well, to be precise, I think this is – this is different on the back to the one I have, but I have an album with that front. Q. You know – you recognize the front of that album,correct? A. Yes, I recognize the album now. Q. And you recognize the band Spirit, correct? Q. You’re familiar with the band Spirit? Q. You’re very familiar with the band Spirit, correct? A. Not very familiar, but I’m familiar with the band, yeah. Q. And you were aware of this band going back as far as 1960s, correct? A. I’d heard their music on the radio in the 1960s, yeah. Q. And let me go to the album itself. If you look at the back of the album, do you see it has track listings? Q. All right. And what’s the first song there? Is it “Fresh Garbage”? Q. And what’s the second track? Q. What’s the third track? Q. And then there’s that fourth track? Q. “Taurus.” Now, you’re familiar with the song “Fresh Garbage,” correct? Q. In fact, in your deposition, you said that you would play music of people you liked and chip a wink to what was hot in the scene at that time. Do you remember that? MR. ANDERSON: Objection, Your Honor. Misstates the document. THE COURT: Overruled. You can just ask him is that true, that statement. Q. And do you recall that in your deposition, you said – you used the actual words “chip a wink.” Do you remember that? A. I may have done. Q. Okay. Well, I’m not going to pull it up, but do you recall saying that you would play bands that you felt were instrumental or important at the time? THE COURT: Go ahead. The question is – go ahead. You can answer the question. THE WITNESS: Yeah. Chip a wink to that riff. Q. Well, you call it a riff, correct? Q. And you’re familiar with the “Fresh Garbage” what you call riff, right? Q. Because you actually included it in part of Led Zeppelin’s live sets, correct? Q. All right. Now, when you say just a riff, isn’t it true that you played it for minutes and minutes and minutes, this riff, over and over again? A. Well, the nature of a riff anyway is the fact that it’s a cycle of notes which is repetitive and repetitive. A. And so we employed it that way in a medley that we did. We used to play that riff over and jam over it. Q. You didn’t create that riff, did you? Q. You copied that riff? THE COURT: You played it. THE WITNESS: We played it, yeah. Q. But you didn’t create it on your own, you took it from the band Spirit, correct? A. I heard – yeah, I’d heard – I’d heard it. Q. Now, to be clear, Mr. John Paul Jones, when he was deposed – did you have an opportunity to ever see his deposition testimony? Q. No. Did you understand who brought that piece of music to the band, “the band” referring to Led Zeppelin? A. Well, from my recollection, when – when we were actually putting the band through the rehearsal stage, which was at my house, it was put forward as something for a medley that we were doing in a number called “As Long As” – “As Long As I Have You.” So there would be “As Long As I Have You” – a medley of bits and pieces and then “As Long As I Have You,” and that was something that came up during that point in time. A. Something to jam over, yeah. Q. – on the same side as “Taurus” was a bit and piece that you incorporated into music that Led Zeppelin played live on stage, correct? Q. And you didn’t just play it once, you played it many times, correct? A. What do you mean by that? The riff? The amount of times of the riff in one number or subsequent days? Q. Let me be more clear. What I’m referring to is how many times did you play this in separate concerts? MR. ANDERSON: Objection. Vague and ambiguous. THE COURT: By “this,” you mean that – what did you call the comp- – the composite? THE COURT: Yeah. What did you call it? THE WITNESS: “As Long As I Have You” is the title. THE COURT: Are you referring to the medley “As Long As I Have You,” how many times did he play that? MR. MALOFIY: Well, no, I’m referring to “Fresh Garbage,” which was a piece contained in the medley. THE COURT: Then why don’t we ask the question again so we – we’re focusing on what you’re asking. Q. At how many difference concerts did you play this medley which contained the composition of “Fresh Garbage”? THE WITNESS: Okay. I – I really don’t know, but I do know that we – we rehearsed the band and the Led Zeppelin outfit and then we had a handful of dates in Scandinavia, and by that I mean like half a dozen dates or so. Then we were doing a few dates in England, and we were recording the first album, and then we came over to the States. So we’re talking, say, somewhere between September and December. Whenever these early concerts were on, we were playing it then. Q. Now, would it be accurate to say you played it somewhere between 12 to 15 times in concert? A. Oh, yes, I would say so, yes. Q. And maybe even more, correct? Q. All right. Now, would you agree that Spirit is a band that you liked? A. Yeah. I liked Spirit, yeah. Q. And isn’t it true that Spirit is a band that you appreciated over the years? A. Well, I – I bought a record of theirs, that’s for sure. In fact, I bought two records of theirs. Q. Let’s go with the first record. What was the first record you bought by Spirit? A. The Family That Play Together, which is an album that has like a Motel 6 cover on the front. It’s got – “I’ve Got a Line On You Babe” is the – the sort of main track. Q. – put in your collection? MR. ANDERSON: Misstates the testimony. It’s argumentative. There’s no testimony he bought the first album. THE COURT: I’m sorry. How did – how did you acquire the first album? THE COURT: Did you buy it or was it given to you? THE WITNESS: To be honest with you, I’m not absolutely sure. But I definitely – I could possibly have bought it or I was given it. THE COURT: – answer. Okay. Counsel. MR. MALOFIY: Could I have his answer read back two answers ago? THE COURT: Why don’t you ask the next question. Q. Did you just testify that you had bought two Spirit albums? A. Well, yeah, but loosely saying. I don’t actually really know, but I was going to just say the albums that I had. A. Yeah, maybe I did. Q. Well, hold on a second, because only one person can take down the testimony. MR. MALOFIY: I apologize, Your Honor. I apologize to Mr. Page. THE COURT: You said – you may or may not have said, “I bought the albums.” Did you mean by that you have two of their albums? THE COURT: And you’re not too sure whether you bought them or were given you; you don’t know right now? THE COURT: Then let’s go ahead. Q. To be clear, when you say you remember getting two – getting two of the albums in the day, does that mean in the day of when they came out and were released? Q. Would you agree with me that the “Taurus” album that you – excuse me. Would you agree with me that the Spirit album that you have, you bought in the ‘60s? MR. ANDERSON: Objection. Vague and ambiguous. The problem is Spirit is a group and the name of an album. It also misstates the testimony. THE COURT: Sustained. He indicated that he somehow or another acquired two and he acquired them in the ‘60s. Next question. Q. Well, was it the first Spirit album that you acquired in the ‘60s, sir? Q. What Spirit album did you acquire in the ‘60s? A. The two albums that I – that I sort of recollect having had and what I do have are Family Plays Together and Clear Spirit, which I believe is the third album. Second album, third album. Q. Did you acquire those albums after hearing “Fresh Garbage” and being familiar with that piece of work from the first album? A. I seem to remember – well, I seem to remember the first album that comes into my possession is the Motel 6 album, The Family that Plays Together with “I Got a Line on You Babe.” So that’s as a result probably of hearing that on the radio, that track. Q. And then the second album? Q. “I’ve Got a Line on You” was a charting single, correct? A. Well, I don’t know. I guess so. Q. You heard it on the radio, correct? Q. It was very popular in the UK, correct? A. I heard it over here, though. Q. It was popular in the U.S., too, correct? Q. Okay. Now, my question earlier on was a little different. I asked you did you – were you familiar with “Fresh Garbage” from Spirit’s first album prior to purchasing the second and third – or prior to purchasing the second and third album? Q. Okay. Is that what caused you to purchase the second and third album? A. I don’t know whether that’s the reason at all, no. Q. Do you happen to know why you purchased the second and third album? A. Because I liked the tracks that I – that I heard on the – you know, I bought them independent. I didn’t buy them both together; it was as I heard the songs on the radio. Q. I see. So you heard Spirit songs on the radio, you liked them, and then you went to go buy the albums? A. Yeah, the second album and the third album. Q. Only the second album and the third album? A. Didn’t get around to getting the first album. Q. Well, you – at some point you got around to getting the first album. A. Well, I don’t know. It’s in – it’s in my collection. Q. So somehow it was discovered by you in your collection, correct? Q. You’re not really sure how that happened, though? THE COURT: Counsel, that’s not proper. You can read in the interrogatories and the responses just like depositions. You don’t ask whether or not the deposition was true. It’s testimony just like – it comes in to the jury just like testimony from a deposition. Q. That was your – that was your interrogatory response, correct? A. Sir, could you please repeat the question? A. Well, I do know when the time of that was. It wasn’t a time unknown. I know when the time was. Q. Okay. So did you then discover when you came into possession of this album? A. Okay. It was after the internet comparisons came up, which is a few years ago. And I – well, my son-in-law brought it to my attention that there was a comparison of “Stairway to Heaven” and a Spirit song, and I said that I’d like to hear it. I don’t do the internet or the computer, so he played it to me. And initially, what happened was that there was some music there which I’ve never heard before, like an orchestra, and I said, “Well, what is this?” And then it goes into the sort of rundown on acoustic guitar. And he said, “This is the Spirit song.” So I knew that I had never heard it before. But what I did do, within a week of that, I went to the location where all my records are and I thought, you know, “I’ll have a look,” because he – well, basically, “I’m going to have a look and see what Spirit records I’ve got.” And what happens is – I know that in my mind that there were two records that I had, which is the second album and the third album, and then it turns out that I’ve got the Twelve Dreams of Dr. Sardonicus and even a Spirit live album, which is like a double album. I mean, I have no recollection of that whatsoever. But there is this album, the first album. I don’t know how it got there or anything. Q. Okay. So to be clear, you have the first album of Spirit, correct? A. It’s in the collection. Q. You have the third album of Spirit? Q. You have Twelve Dreams of Dr. Sardonicus, another album of Spirit? Q. So – and then you have a double album of Spirit live. Q. So in total, you have one, two, three, four, five, six albums of Spirit in your collection? A. Is that because one is a double album? A. Okay. Well, I can tell you I’ve never even heard that album. Q. You just had it in your collection? THE COURT: Let me hold you up just a second. That’s quite – we have to do it through questions and answers. THE WITNESS: I’m sorry. Do you mind if I have some water? THE COURT: No, we’ll get you some. Just a second. MR. MALOFIY: May I proceed or do you want to wait? Q. So in your collection, you have five Spirit albums. One of them is a double live set of Spirit, correct? And you have a number of music in your collection. Do you recall – do you remember every song you’ve ever heard, sir? A. Do I remember every song I’ve ever heard? I couldn’t possibly say that I could. Q. Is it possible you’ve heard the song “Taurus” and just didn’t take mental note of it? MR. ANDERSON: Calls for speculation. Q. How many times did you listen to the first album? THE COURT: Overruled. If you know. THE WITNESS: Well, I don’t think I have listened to the first album, even since the comparisons and all of that. I didn’t really want to get too close to it. Q. Okay. I understand. How about the second album? How many times did you listen to the second album? A. Oh, quite a – quite a few, I would think. A. I don’t know. I can’t tell. This is so far – a long, long while ago. Q. More than 10? Less than 10? A. I’d say more than 10 times. A. No, I don’t think so. A. Maybe it’s somewhere between 10 and 20. I don’t know. It was quite a popular album. I enjoyed it. I did listen to the album. Q. What about The Family That Plays Together? How many times did you listen to that album? MR. ANDERSON: Objection. I think that’s asked and answered. That is the second album. Q. The sec- – excuse me, the third album. MR. MALOFIY: I’m getting some clarification now. THE WITNESS: Clear Spirit, yeah. Probably not as many times as the – that I – that I listened to the second album. A. It’s hard to – it’s hard to quantify this. Q. Would it be less than 20? A. Yes, less than 20, I would say. A. Let’s say eight times. I really – you know, I’m speculating. I’m so sorry. I’m so sorry. It’s so difficult to remember that far back. I used to listen to a lot of music. THE COURT: That’s okay. Next question. Q. It’s so hard to remember that far back – do you remember – or do you have any recollection of playing “Taurus” ever? Q. Is your memory clear and distinct as to whether or not you heard “Taurus,” but to other songs you’re not sure? A. No, no. I – the fact is that when the internet comparison was there, there was this orchestra, and – and it was just totally alien to me. And when you said do I have a good recall on music, yes, I think I do, and something like that would stick in my mind, you know? I’d remember that and the acoustic guitar part. But it was totally alien to me. I didn’t know it. THE COURT: Ladies and gentlemen, it is 2:30, so we’re going to break for our afternoon recess. We’ll see you back in 15 minutes. Remember the admonishment not to discuss the case among yourselves or with anybody else or form or express any opinions about the matter until it’s submitted to you and you retire to the jury room. We’ll see you back in 15 minutes. We’ll be in recess. THE COURT: Okay. The record will reflect that all the members of the jury are in their respective seats in the jury box, the witness is on the witness stand, and he is under direct examination. Counsel, you may continue. Q. You had testified a moment ago before break that once you heard – you said that once you heard “Taurus,” you – recently – that’s what you testified to – that you would have recognized it, it would have stuck in your mind, correct? MR. ANDERSON: Objection. Misstates the testimony. THE COURT: Overruled. Is that what you said? THE COURT: – and you’re talking about that now. When you heard it, was it the type of song that you said to yourself, “I would have remembered this if I heard it earlier”? THE COURT: Okay. Next question. Q. Now, let’s get – you heard the album recording, correct? MR. ANDERSON: The question lacks foundation. THE COURT: I’m sorry. State the question again. You heard what? Q. When you heard “Taurus” recently, you were listening to the album recording, correct? A. That’s what it said it was, yeah. Q. Right. And what you have in your collection is actually the album recording that was released to the public, correct? Q. And did you happen to listen to your album “Taurus” on your record player? MR. ANDERSON: Objection. Asked and answered. THE WITNESS: No, I didn’t. THE COURT: Whose record player did you listen to “Taurus” on? THE COURT: Yeah, well, why don’t you clarify how you heard it. THE COURT: So you heard it on the computer. THE WITNESS: That’s where I heard it, on – yeah, on the computer. MR. ANDERSON: Objection. Lacks foundation. Q. – is that correct? THE WITNESS: It was the album. Q. All right. Now, when you listened to the album, you said it didn’t sound familiar to you and it was something you would have recognized. Are you referring to specifically the first 45 seconds of “Taurus” or did you actually listen to the song all the way through? MR. ANDERSON: Objection, Your Honor. Compound. Lacks foundation. THE WITNESS: The – what was on the comparison, I believe, as far as I remember, was the orchestra preceding the acoustic guitar. Q. Now, once the acoustic guitar came in, isn’t it true the two songs are similar in that section? THE WITNESS: Oh, I don’t think so. Q. – when you heard those – that acoustic guitar part and when it went down the chord progression, did you recognize that chord progression as being similar to the chord progression in “Stairway to Heaven”? MR. ANDERSON: Objection, Your Honor. It’s within the motion in limine. He’s talking about the sound recording. THE COURT: The deposit copy. Thank you. I couldn’t think of the name. We were talking about just the deposit copy. The only question is whether or not it’s similar to the deposit copy, not to what was on the record. MR. MALOFIY: The – Your Honor, if I may briefly? MR. MALOFIY: The reason it’s at issue is because we have a dispute of access. In other cases, there was no dispute of access. Mr. Page did not hear the deposit copy ever, he heard the album recording. And how can I ask this gentleman if he’s ever heard this album, the Spirit “Taurus” sound recording, if I don’t get a chance to play it for him? THE COURT: You got it. You can’t. Next question. Q. Sir, did you ever go to the Library of Congress? MR. MALOFIY: Mr. Anderson, was it 2065? MR. MALOFIY: 2058. Can we pull it up? THE COURT: Just a second. We have to – you want to pull it up first? MR. MALOFIY: I would. It was used in the prior deposition – excuse me, prior witness, Mr. Andes. THE COURT: Okay. You’re losing me with all the – is there a question pending in front of the witness at this time? THE COURT: What – what is that question? THE COURT: Wait. What is the question? MR. MALOFIY: If he ever saw the deposit copy or lead sheet of “Taurus” which was deposited in the copyright office. THE COURT: Perfect. Thank you. THE WITNESS: The Library of Congress? No, I never visited the Library of Congress. MR. MALOFIY: Can we publish this for Mr. Page? Q. You have what’s marked as Exhibit 2058. I’ll represent to you it’s the “Taurus” deposit copy that was produced in this case. Have you ever – saw this piece of music? A. Well, I’m not – I’m not absolutely sure. I don’t think I have, but it might have been flashed past me at some point in my preparation. But I don’t think I’ve seen this. A. It doesn’t – no. Q. And is it – is it fair to assume that if you had heard “Taurus” at any point, it would have been from the album recording? MR. ANDERSON: Objection. Lacks foundation. Calls for speculation. THE COURT: Overruled. You haven’t heard “Taurus” from any other thing other than the recording, have you? THE COURT: You haven’t heard “Taurus” from any other means other than the recording that you mentioned? Q. Are you familiar with deposit copies that are deposited in the copyright office, sir? MR. ANDERSON: Vague and ambiguous. THE WITNESS: No, I’m not familiar with any sort of things like that. Q. Did you ever have an opportunity to see the “Stairway to Heaven” deposit copy that was deposited in the copyright office? A. No. I didn’t have anything to do with doing that. Q. Did you ever transcribe the notes to give to someone to deposit into the deposit – into the copyright office for “Stairway to Heaven”? A. Not that I remember. Q. At any point, did anyone ever play you the deposit copy of “Taurus”? MR. ANDERSON: Objection. Calls for speculation. THE COURT: Overruled. But he’s already testified that he never heard “Taurus” at anything other than the – what was on the record, so it’s already been asked and answered. Q. And even as you sit here today, you’ve never heard the “Taurus” deposit copy, correct? THE WITNESS: I – I don’t know whether I’ve – I don’t know at what point I would have heard it. Q. When you heard the album recording of “Taurus,” where were you? A. I was in my house in London. A. My son-in-law and myself. Q. Did you hear it from the internet? Q. And are these the internet comparisons of “Stairway to Heaven” and “Taurus” which are – exist? A. – and he – and so my son-in-law brought it to my attention. You see, the thing is I don’t do – I don’t do the internet, so I’m not like anybody else in here, because, you know, most people go on the internet and they see what’s trending and all this sort of stuff. I don’t do that, so he brought it to my attention. Q. When he brought it to your attention, did he say, “Hey, these two songs sound the same”? A. No, he didn’t say that at all. Q. What, if anything, did you do after that? A. – not to any real degree. Q. And when you heard it, did you say, “Hey, these sound similar”? THE COURT: It’s the jury that has to determine whether it’s similar or not, not the witness. Q. Sir, let’s be clear. “Taurus” and “Stairway to Heaven” are in the same key, correct? Q. And it’s A minor, correct? Q. You’d agree that the tempo of “Taurus” and “Stairway to Heaven” are very similar, correct? MR. ANDERSON: Objection. Tempo doesn’t appear in the deposit copy. MR. ANDERSON: He’s now going back to the sound recording. Q. Sir, you never heard the “Taurus” deposit copy, correct? THE COURT: Sustained. He said he has not. Q. Sir, in the instrumentation of those two pieces of work that you heard on the internet, was the – were they – did they both incorporate an acoustic guitar? MR. ANDERSON: Objection. There’s no instrumentation in the deposit copy. It’s irrelevant and it’s barred by the ruling on the motion in limine. Q. Sir, the arrangement – wouldn’t you agree that the arrangement is similar of “Taurus” and “Stairway to Heaven”? THE WITNESS: What do you mean by “the arrangement”? Q. Remember in your deposition we discussed the structure of the two songs, “Stairway to Heaven” and “Taurus”? MR. ANDERSON: Objection again. He asked him about the sound recording. THE WITNESS: It depends on what you mean about remember. There’s a lot that was discussed about it. THE COURT: Let me back off a little bit. Again, ladies and gentlemen, what we’re concerned about is if there is a copying of the deposit copy, not the musical arrangement that was played or performed. It was the deposit copy. And so the only thing we’re concerned with here is the similarity between “Stairway to Heaven” and the deposit copy, and so that’s why we’re limiting it just to the comparison of those two. Next question. Q. Sir, you’ve never done an analysis of whether or not the “Taurus” deposit copy and the song “Stairway to Heaven” are the similar – are similar, have you? MR. ANDERSON: Objection. It’s irrelevant and it’sargumentative. THE COURT: Overruled. You never heard it? THE WITNESS: No. I heard it today, though. Q. All right. So when you heard it today, would you agree that the tempos are similar? MR. ANDERSON: Objection. It’s for the jury. Relevance. THE COURT: Excuse me. Excuse me. THE COURT: Has he been designated as an expert in this area? MR. MALOFIY: Not designated as an expert, but the alleged composer of “Stairway to Heaven,” and so I would like to inquire as to those issues, respectfully, Your Honor. Q. Do you remember when we discussed the structure of “Stairway to Heaven”? A. I remember that we did discuss that. I don’t know what specifically you’re referring to, though, because we – we had a conversation that went over hours. So what precisely is it that you want to ask me about that? Q. – do you recall that we discussed the Part A of “Stairway to Heaven” and that Part A repeats itself twice, does it not? A. Yes, it does, that’s correct. Q. And then it goes to a Part B, correct? Q. And then it goes to Part A and Part A repeats itself, correct? Q. And then it goes to Part B, correct? Q. And then it goes to Part A two more times, correct? A. I think that’s correct. Q. So just a recap here, it’s A-A-B-A-A-B-A-A, correct? Q. And that’s the same structure as the “Taurus” deposit copy, correct? MR. ANDERSON: Objection. Again, he’s not a designated expert. THE COURT: Well, not only that, he – sustained. He can’t testify as to the deposit copy. He can testify to what his is and what he did. THE COURT: That’s okay. You don’t answer. When I sustain it, you don’t answer it. THE COURT: To help you out, if I – if I overrule an objection, then you answer it; if I sustain an objection, you don’t answer. Okay? THE COURT: Okay. Go ahead, counsel. Q. When you heard the comparison that you had said was creating a lot of buzz on the internet of “Stairway to Heaven” and “Taurus,” did you recognize that there was any similarities? Q. Do you remember, prior to your deposition, you said that you didn’t have a recollection of liking the band Spirit? Q. Remember when we had the deposition in London? Do you recall that? Q. Yeah. And do you recall that it was under intense questioning that you had to then say that you did, in fact, like the band Spirit? MR. ANDERSON: Objection. Vague. Ambiguous. THE COURT: It was argumentative. Q. Do you remember initially in this case, you didn’t indicate that you liked the band Spirit? THE COURT: Overruled. Did you ever say you didn’t like the band Spirit? THE WITNESS: I – I didn’t ever say I didn’t like the band Spirit. Q. Didn’t you forget that you liked the band Spirit until I questioned you in your deposition and played you an audio clip of your own voice from 1972 where you said, “I like the band Spirit”? Q. Sir, do you recall in your deposition you admitted that you liked the band Spirit after hearing an interview where you Had said that? THE COURT: Yeah, let’s cut through it. Overruled. Let’s see if you can answer the question. Go ahead. THE WITNESS: I think really, basically, I’ve said that I’ve liked Spirit over the years. I mean, I don’t think that that is really in question, is it? Or is it in doubt? A. I mean, I’ve said it – I’ve – you know, I’ve liked Spirit. I’ve liked a lot of bands, to be honest with you. THE COURT: Did you ever say you didn’t like – did not like Spirit? THE WITNESS: I didn’t say – I’ve never said I didn’t like Spirit, no. Q. Isn’t it true that you forgot until I played you your quote from an interview where you said, “I like Spirit,” that you forgot that you liked Spirit except until that time? MR. ANDERSON: Objection. Argumentative. Relevance. THE WITNESS: I’m not sure that that is exactly how it was, Mr. Malofiy. A. The question – no. It was a question that I was asked about an interview, and I couldn’t – and, “Did you say this, did you say that,” and I said, “I don’t remember the circumstances of giving an interview, whenever it was, way back in the day,” and I stand by that. I don’t remember the circumstances of interviews from 40 years ago or whatever. Q. Well, let me play that deposition clip for you, Mr. Page. It is 439 – page 439, lines 3 to 6. MR. ANDERSON: If I could just have a moment, Your Honor. MR. ANDERSON: No objections, Your Honor. Excuse me, Your Honor. MR. MALOFIY: Sorry. Maybe we can start from the beginning, please. It was a tech issue. We have to cue it up again. I apologize. MR. ANDERSON: Your Honor, if I may, that’s not the testimony he cited. So if I can just have a moment to read it. THE COURT: No. And he’s played the testimony, and let’s move on to the next question. Q. Now, do you remember when I played you the interview, you remembered that you liked the band Spirit? A. Well, Mr. Malofiy, the time readout on that last clip looks like it’s 6:54 at night, and we began that deposition very, very early on in the day. THE COURT: – was taken or not. THE COURT: Excuse me. One of the things is you said something about not remembering ever saying you did or didn’t like them, and that’s in. I don’t know what the next question is, but I’m not too sure if it conflicts with what he’s already stated. What’s the next question? There’s a difference between saying, “I don’t remember if I said I liked them or liked them” and saying, “I didn’t like them.” There’s a difference there. Next question. Q. That was your testimony under oath, correct, even though it was late? THE COURT: Counsel, you read the deposition in. It’s read to the jury. MR. MALOFIY: Thank you. One second. Q. Did you ever say Spirit is a band that struck you on an emotional level? A. I don’t know that I said that. Q. Did you ever say Spirit is a band you really liked in interviews in the early ‘70s? A. Yeah, I could have said it was a band I liked, yeah. Q. Are – isn’t it true that you, in fact, did say, “Spirit is a band I really liked” in an interview? THE COURT: If you remember. THE WITNESS: It’s quite possible, yeah. I don’t know which interview. THE COURT: – said that? Q. The interview is the ZigZag interview in 1972. It’s 160-A. MR. MALOFIY: Can we play that clip? THE COURT: No, counsel. That’s not – that’s not impeachment from what he said. THE COURT: Counsel, it’s not impeachment. It has to be a clear impeaching statement where he’s saying something contrary to what he’s saying now. He’s saying he could have, he couldn’t have. It’s not impeachment. Next question. THE COURT: Next question, counsel. Q. So isn’t it true that you did, in fact, say that you liked the band Spirit in 1972? THE COURT: It is asked and answered. He says he very likely did. In fact, I think you said you did say you liked them. THE WITNESS: I did say I liked them. Q. Now, isn’t it true that you also said in the late ‘7- – in the early ‘70s that you saw Spirit play live? A. I’m not so sure that I said that. Q. Do you recall saying to a reporter, when asked the question, “Can I ask you about certain bands? Like you mentioned Buffalo Springfield in connection with all the offshoots of these things. Don’t you like their stuff,” you went on to answer: “They were like that, very cut and dried and very samey every night. They were obviously very good, even though they didn’t strike me on an emotional level like Spirit did, for instance. I saw Spirit a couple times and thought they were very good.” Do you remember those words? A. I certainly don’t remember those words, actually. Q. Is it possible you also don’t remember listening to “Taurus” back in the early ‘70s? THE COURT: Let me help you here, because sometimes rules of court are a little different and so you have to explain them. If he asked a question, he’s not insinuating, and the jury is not to take it as being true unless you say that it’s true. THE WITNESS: Oh, okay. Yeah. THE WITNESS: – long ago. THE WITNESS: But it could be distorted, too. THE COURT: – and let’s – it’s okay. Next question. And if your counsel wants you to expound on it, he’ll ask you further questions. Go ahead, counsel. MR. MALOFIY: I’d like to move in Exhibit 157 into evidence, which is the _ZigZag_article which was produced by defendants in this case, which has this quote from Mr. Page. It’s Exhibit – Defendants’ Exhibit 157. MS. FREEMAN: Your Honor, we were asked to produce – this particular quote was in the complaint. THE COURT: Counsel, is there any objection to these? MS. FREEMAN: Yes, Your Honor. We object. It’s hearsay. It’s hearsay. The witness has said he doesn’t know. MR. MALOFIY: One second, with the Court’s indulgence. We’re trying to pull up an audio. THE COURT: I’m sorry, counsel. I thought you were talking about a newspaper article. MR. MALOFIY: It is, but we believe there is also associated audio with the newspaper article. THE COURT: I don’t – counsel, what are you – what are you talking about? Is this an article that was in the paper? MR. MALOFIY: – in the case. THE COURT: And it was an audio? MR. MALOFIY: We also have an audio file. MR. MALOFIY: Of Mr. Page – of this interview or part of it. THE COURT: That’s not what I asked you. As far as the newspaper article, if there’s some newspaper article, you can introduce that. As far as some audio, there’s been no foundation laid for that. MR. MALOFIY: It’s – I can lay foundation by asking him if this is his voice. THE COURT: Don’t ask me how to put your case on. If you want to ask him a question, ask him a question and I’ll deal with it. MR. MALOFIY: Play the audio. 160-A. MR. ANDERSON: Thank you, Your Honor. MR. MALOFIY: Can we turn up the volume there? Thank you. MR. ANDERSON: Your Honor, if he could play the whole quote and not just that. THE COURT: Counsel, no, wait. Just a second. First of all, was that your voice? THE WITNESS: Yes, I think so. It’s very muffley and hard to understand. THE COURT: I understand, but do you think that was your voice? THE WITNESS: I think so. THE COURT: Okay. Go ahead, counsel, play it. MR. MALOFIY: Play it again. Q. Did you hear yourself say that? Q. And that’s your voice, right? Q. Okay. Do you recall – earlier on – I asked you a moment – two questions ago, perhaps, or maybe even a little bit more, I asked you about you seeing Spirit live and you said, no, you don’t recall that, correct? A. I’m not really sure what that is. Q. Are you familiar with New Musical Express? It’s very popular in the UK? Q. And what is New Musical Express? A. It was a musical journal that was – yeah, it was only in the UK. It didn’t – wasn’t over here. MR. MALOFIY: This is Exhibit 98. Can we pull that up? THE COURT: Well, you’ve already read it, counsel. MR. MALOFIY: I want to show it to him. He said he’s not sure. I thought I’d show him the article to refresh his recollection. THE COURT: Show it to him and see if it refreshes his memory, but it’s not going to be presented in front of the jury yet. THE WITNESS: Thank you very much. THE COURT: And after reading it, the only question is does that refresh your memory as to whether or not you said that? THE COURT: So it doesn’t refresh your memory one way or the other? THE WITNESS: No, it doesn’t. THE COURT: Okay. Okay. Why don’t you pass it back to counsel, then. Okay. Q. That doesn’t refresh your recollection, correct? Q. And you are familiar with New Musical Express, correct? MR. ANDERSON: Asked and answered. Q. And do you have any reason to dispute this quote? A. Well, the thing is the time when that is, it’s – it’s in – when is that coming out? March or May is it – I couldn’t quite read it – 1970? A. Well, in those days – in those days, they were still sort of jotting down things on notepads when you were – when you were doing interviews. So it wasn’t like it is today. You know, that’s how journalists were doing things. So I – I can’t – you know, I don’t – I don’t really remember the actual interview and I don’t – you know, I can’t say that I said that. THE COURT: So you’re saying you may have or you may not have? Q. To be clear, you don’t remember the interview? You don’t remember giving the interview, correct? Q. You don’t remember seeing Spirit live? A. I didn’t see Spirit live. Q. So this quote, you dispute the accuracy of this quote? THE COURT: Counsel, he didn’t. He says he may have said it, he may not have said it. He just doesn’t know. Q. Well, this quote says you enjoyed seeing Spirit live, correct? Q. It says you enjoyed seeing Spirit live; isn’t that correct? A. Apparently, that’s what it says, yes. Q. And you’re telling me that you don’t remember the interview that you gave when you gave this quote? THE COURT: Asked and answered. How many times can we, you know, beat a dead horse? It’s been asked and answered. Go ahead. Q. It also says here you enjoyed Spirit albums. It has “bums” – “albums,” plural. Did you see that when you read it? A. I heard you say that, and I – and I saw that part, as well. Q. And you saw that it was in plural, correct? A. I did see that. Q. And prior to 1970, is it accurate that you had more than one Spirit album? A. – which was The Family That Plays Together and Clear Spirit. Q. And it wouldn’t have been the first album that came out prior to 1970 and prior to “Stairway to Heaven”? MR. ANDERSON: Objection. Argumentative, lack of foundation, vague and ambiguous. THE COURT: Well, what do you mean by that? Was it the very – are you asking him did he also have the very first album? MR. ANDERSON: That’s been asked and answered. THE COURT: Okay. And he – that’s been asked and answered. He said he did not have it at that time. Q. Does it refresh your recollection, now seeing this interview, whether or not you had the first album, since it states here that you had albums? THE COURT: That’s argumentative, counsel. MR. MALOFIY: I’ll move forward. Your Honor, D-98, which is defendants’ exhibits, is the New Musical Express which we just impeached Mr. Page with. We’d like to move that into evidence. THE COURT: It’s wishful thinking, counsel, when you said you think you impeached him, but if you wish to introduce that, yes, it can be received into evidence. The Court has already indicated that he indicated he may or may not have said that, so it doesn’t come in as far as his being, “Well, he’s been impeached.” But they can consider that as far as reaching their verdict. MR. MALOFIY: Thank you, Your Honor. THE CLERK: I’m sorry. Could I have that number? MR. MALOFIY: I’m sorry. It’s 98-00001 is the official Bates number. MR. MALOFIY: And to clarify a point a moment ago, the prior official Bates number of the article from ZigZag was 160-00009. MR. MALOFIY: With the Court’s indulgence, give me one moment, Your Honor. Q. I want to go back to “Fresh Garbage,” a song by Spirit written by Jay Ferguson. Did you know that Jay Ferguson had written that song? A. No, I didn’t, really. Q. Did you ever tell him you liked that song? A. Yeah, I really liked the song. Q. Did you ever tell Mr. Ferguson you liked that song? A. I never met him. Q. Okay. You did see him testify here today – oh, I believe it was yesterday now – oh, it was both days, actually, yeah. You did see Mr. Ferguson testify here in court, correct? A. Well, I did, yeah. Q. That was the first time – when was the last time you saw Mr. Ferguson? THE COURT: Last time other than today? MR. ANDERSON: Objection. Argumentative. Lacks foundation. THE COURT: Did you see him before yesterday when he came in to testify? THE WITNESS: I have no recollection. THE COURT: You don’t remember ever seeing him? THE WITNESS: No, I don’t think I have ever seen him. Q. Let me play Exhibit 6-A, which we already played earlier on in this case. MR. ANDERSON: No objection, Your Honor. Thank you. MR. MALOFIY: One second, Your Honor. Exhibit 6-A is the live performance of Led Zeppelin playing “Fresh Garbage” January 10, 1969. Can we play that audio for Mr. Page? THE COURT: There is no objection. Q. Now, did you hear that? Q. Do you recognize you playing guitar on that track? A. Yes. It’s in 19- – you said January the 10th, 1969? A. Yeah, at the Fillmore. A. Well, that would be then, yeah. I haven’t really heard it since then, so it’s a bit testy. Q. No, that’s – but you do recognize yourself playing the “Fresh Garbage” composition, correct? Q. Now, earlier on your counsel said it was a very short little piece of music taken. That went on, I’ll represent, for 2 minutes and 51 seconds. MR. ANDERSON: Objection. It’s argumentative. Q. How long did that go on for, do you know? A. I didn’t really – I didn’t have a stopwatch. I didn’t check it, no. It was – but, if you don’t mind me saying, it was part of another number called “As Long As I Have You” and it was part of a segue in the middle, like a medley. A. Yeah. So you can tell we’re just jamming on that riff. That’s all we’re doing. Q. Right. So this is a riff that you were playing and you’d agree that it wasn’t just a small little piece, it was a few minutes long, correct? MR. ANDERSON: Objection again. Argumentative. THE COURT: Well, sustained. The jury makes that determination. Q. How many times did you repeat that riff over and over again? A. Do you know if you had asked me to start counting when you played it, I might have tried to hazard a guess, but as it is, I don’t know. THE COURT: But many times, right? THE WITNESS: Well, that night, that riff, or – yeah, we’ve already – yeah, yeah. It’s repetitive, so I don’t know. I didn’t count. But the “Fresh Garbage” was played a number of times. THE COURT: No question pending right now. Next question. Q. When you say it was played a number of times, did you – it wasn’t just the bass riff that was being – playing that piece of music; isn’t that correct? MR. MALOFIY: Let me clarify my question. Q. It’s not just a bass riff. In fact, Mr. John Paul Jones is playing it on bass and you’re copying the same riff on guitar, correct? A. I wouldn’t call it copying, I call it playing in unison, playing together. Q. Okay. So you’re playing this piece of music, this part of this composition “Fresh Garbage,” in this song that we just heard, correct? Q. And it’s not just – on that performance that we just heard, it’s not just the bass riff, correct? THE COURT: Go ahead. Ask – reask the question then. Q. It’s not solely a bass riff that is being played, it’s also the guitar playing it, correct? A. On what we just heard. THE COURT: No. I’m going to allow the question in. MR. MALOFIY: Now, can we play Spirit’s “Fresh Garbage,” and I’ll represent it’s 206-A. Your Honor, may I play the 206-A? Thank you. MR. ANDERSON: No objection, Your Honor, assuming – we can’t look it up at this point, but assuming it’s what counsel represents, we have no objection. THE COURT: You may play it, counsel. MR. ANDERSON: – again assuming it’s what counsel represents. MR. MALOFIY: I believe I got it right this time. Q. I think that captures it. This song goes on for quite a long time and there is a breakdown part and everything else. You recognize that piece of music being played, correct? MR. ANDERSON: Objection. It’s vague and ambiguous. MR. ANDERSON: Okay. Thank you, Your Honor. THE WITNESS: Yeah, it’s not – it’s not the version that I’m familiar with that I’d heard before. I’ve never heard that version before, but it is “Fresh Garbage,” yeah. Q. You could recognize it was “Fresh Garbage,” correct? Q. And that’s the piece of music you were copying when you were performing live, correct? A. From that – from that song, we were playing the riff over and over again, yes. Q. Now, to be clear, I believe your testimony was that you even played “Fresh Garbage” at the Denver 26 – excuse me – the December 26, 1968, show in Denver, Colorado. Do you recall that? A. Yeah, I would have thought we did, yeah. Yeah, definitely. Q. And was that part of your staple songs during those concerts? A. When we played “As Long As I Have You” starting from December – in September of ‘68, we were doing – we were doing “As Long As I Have You” and we were putting that in in the medley. Because we did it during the rehearsals, as to the best of my recollection, but we definitely did it during Scandinavia and, obviously, we did it when we came here on our first date. Q. Your first – your first show on U.S. soil, correct? A. In the – Denver was our first show. Q. Right. Now, when you said, “We were putting it in,” when you say “it,” what are you referring to specifically? A. So we would have – you’ve asked me a question would we have played it at Denver, and my answer to you is yes. Q. And the part that you would have put in is “Fresh Garbage” – the “Fresh Garbage” piece that we heard, correct? MR. ANDERSON: Objection. Misstates the testimony. Asked and answered. Q. To be clear, isn’t it true that “Fresh Garbage” was a staple song – well, strike that. Isn’t it true that “As Long As I have You” containing the composition of “Fresh Garbage” was a staple song in your performances in late ‘68 and early ‘69? THE COURT: Sustained. Yeah, sustained. In the composition, you had some riffs from “Fresh Garbage.” Okay? THE COURT: Okay. And that’s what he’s asking you. Was that a staple? THE WITNESS: Yeah, right from – right from day one of our tour, if you like, that we did in Scandinavia, we were doing it then. So we were doing it – we didn’t have a lot of material in those days. We only had an album. So, yeah, that was part of the staple diet, if you like, of the concerts every night. MR. MALOFIY: Now, give me – with the Court’s indulgence, I want to pull up a set list indicative of what Led Zeppelin was playing I believe right around the time – well, around the time they were performing with Led Zeppelin. One moment, Your Honor. MR. ANDERSON: Do you have an exhibit number? MR. MALOFIY: Well, I’m looking for it, yes. MR. MALOFIY: Yeah, I just need a second. Sorry. My apologies. I have to get one document, Your Honor. Q. Do you recall your second show on U.S. soil, whether or not it was the show in Gonzaga University? Q. I believe it was the second show. It was on December 30, 1968, four days after the – your first show in Denver, Colorado. Do you recall that show? MR. ANDERSON: Objection. Mischaracterizes the evidence, misstates the facts, and argumentative. THE WITNESS: What I know about that show is it’s the first Led Zeppelin bootleg. A. The Gonzaga show is the first – I don’t remember anything, really, about the show, apart from the fact that I know it’s the first bootleg. Q. Do you – have you ever listened to that bootleg? Q. Do you agree that it has “Fresh Garbage” on it? A. I’m sure it has. Q. Do you agree that you also performed a song called “Train Kept A-Rollin”? Q. That was a cover song, correct? Q. Do you agree that you performed a song, “I Can’t Quit You Baby”? Q. You agree that was a cover song? Q. Do you agree you played “Fresh” – well, you just testified you played “Fresh Garbage.” You agree that was a cover song? MR. ANDERSON: Objection. Vague and ambiguous as to “cover song.” Also relevance. THE WITNESS: That we played the riff from “Fresh Garbage” – I mean, yeah, I don’t want anyone to get the idea that we’re doing “Fresh Garbage” because we just heard a version of that with the – with the vocal and it’s got a different sort of syncopation arrangement to it. We never – we never sang “Fresh Garbage,” we just played this riff. A. But I agree that we played it. Yeah, we played it from day one at rehearsals. Q. That was a cover, too, correct? Q. That was a cover, too? MR. MALOFIY: I missed that, Your Honor. Q. And you played a song called “White Summer”; isn’t that correct? MR. ANDERSON: Objection again. Relevance. Q. And that – and that was a cover? THE COURT: No, it was sustained. We don’t want to go through every song they’ve ever played in their history. Q. Let me – I’ll summarize it. The seven songs you played in – December 30, 1968, six of those seven were covers, correct, sir? THE WITNESS: I really don’t know. Because I’m not partial to seeing the set list, I can’t weigh it up, balance. MR. MALOFIY: Can I finish going through the set list with him, Your Honor? THE WITNESS: Can I finish going through the set list with him to ask him if they were covers? THE COURT: Again, it was irrelevant. You’ve mentioned several already. That should be enough. Go ahead. MR. MALOFIY: Very well. I’ll move forward. Q. You’d agree with me that in the early years of Led Zeppelin, ‘68 and ‘69, before the first album came out, Led Zeppelin was primarily playing cover music, correct? THE WITNESS: That Led Zeppelin were playing – well when we were in Scandinavia, we were doing Yardbirds numbers, which that was covering stuff, I suppose, if you say that. But then we were called the New Yardbirds, but it was still the members of Led Zeppelin. Q. But you were covering other people’s music, sir; isn’t that correct? A. We did at that time, yeah, but we also played our – we were showcasing our own album, as well, our first album. MR. MALOFIY: If I may present this to Mr. Page – if I may approach. I would like him to take a look at the set list and share with me what other – what original numbers are on the set list from Gonzaga. THE COURT: Under 403 the Court is excluding it. It is much more time consuming than it is relevant, counsel. MR. MALOFIY: Yes, Your Honor. Very well. Understood. THE COURT: So you covered a lot and you also played some of your own; is that correct? Q. You started – strike that. You were initially a session musician, correct? A. No, I wasn’t initially a session musician. Q. Well, I imagine you picked up the guitar at a younger age. How old were you? Q. And I guess it’s safe to assume you weren’t a session musician at 12, correct? Q. Later on – you had a gift in being able to play the guitar, correct? Q. And you, in fact, played as a session musician, correct? Q. – this went on from what years? 17, 18, 19? A. Well, I did about four years as a studio musician from the age of about 17. Q. Okay. And during those years, you were in the studio playing other people’s music to track on records, correct? A. Well, that is correct. Q. – or what a session musician does. That’s why I’m inquiring into that. So a session musician, it’s fair to say, plays – goes in the studio and plays other people’s music to be recorded on album recordings; fair statement? THE WITNESS: No, but it’s true. And I – and I – and I had to – I guess I kept managing to deliver. THE COURT: Excuse me. Let me cut you off, because the question is what is a session musician. THE WITNESS: Yeah. I’m trying to sort of explain it. THE WITNESS: Okay. Okay. But he said you play other people’s music. THE COURT: But that’s not the question in front of you now. The question is can you explain to the jury what a session musician is. THE WITNESS: Okay. You go in and you have a chart and you play along to the chart. Sometimes it’s written music. Well, that’s it. But – and, certainly, for me, after a year or so, it was written music, as well. THE COURT: Okay. Thank you very much. Counsel. Q. And how many sessions were you on during those years of 17, 18, 19? Would it be – would it be 50? Would it be a hundred? Would it be hundreds? Q. Thank you. Do you recall ever touring with Spirit? Q. Do you recall ever playing shows with the band Spirit? A. No, I don’t recall playing shows with them, no. Q. Do you recall any interactions that you had with the band Spirit? A. I didn’t have any interactions with the band Spirit, no. Q. Is it possible that you forgot your interactions with the band Spirit? THE COURT: It will be sustained. Obviously, it’s possible for anybody to forget something. Why don’t you ask the next question. Q. You don’t dispute that you performed on December 26, 1968, in Denver, Colorado, correct? A. I did, absolutely, yeah. Q. And you don’t dispute the fact that you opened for Spirit, correct? A. Well, it’s only until this court case that I knew Spirit were on the bill – not the court case, but all of the papers and everything. Because on our initial dates as Led Zeppelin – there was about six of them altogether – we were supporting Vanilla Fudge, and I always thought that that Denver show was us supporting Vanilla Fudge. I didn’t know that Spirit were on until all of this has come up. Q. Did you hear the testimony earlier on today where Spirit and Vanilla Fudge co-headlined that tour? A. Yes. I’ve heard it since I’ve been in here, yeah. Q. Is that the first time you heard that? A. Yeah, I didn’t – yeah, sure. Q. Do you have any recollection of whether or not you were excited to open for a band that you were covering their music? MR. ANDERSON: And vague and ambiguous. THE COURT: Why don’t you rephrase the question. Q. Were you excited to be opening for a band that you appreciated? A. Well, I was excited to be opening for Vanilla Fudge because they were great heroes of ours. A. – I don’t think we necessarily covered any of their music. A. Paid attention very much to how – you know, what they did on their records. Q. – paid attention to what they did, but you never incorporated it as part of your live set, correct? A. Well, I don’t think we used like a little phrase of theirs repetitively, no. THE COURT: He answered yes, he was. MR. MALOFIY: He said yes to Vanilla Fudge. THE COURT: Yeah. Oh, were you asking him – why don’t you restate the question again. I didn’t hear you say “Spirit” on it. MR. MALOFIY: I’m sorry, Your Honor. Q. Were you excited to open for a band you appreciated, Spirit? A. I didn’t know they were on the bill. Q. When you – do you recall, when you were playing their song at that concert, if you then realized that they were on the bill? THE WITNESS: No, I don’t – I – you know, I really don’t have any recollection of them being on the – on the show. I just remember – from my memory recall, I just know that we were on and we were supporting Vanilla Fudge, but that’s it. Q. From your memory recall, do you recall “Taurus” being performed at that show? A. Well, by Vanilla Fudge? No. No. Q. No. “Taurus” not by Vanilla Fudge. A. I didn’t hear Spirit at the Denver show. THE COURT: – so you didn’t hear “Taurus” performed by them? Q. Why didn’t you hear Spirit? THE COURT: He said he didn’t hear it. MR. MALOFIY: Well, I’m asking him why. Q. Did – was there a reason why? Were – that you didn’t hear Spirit? A. I think the reason would have been we definitely would have opened up this. I remember it was a huge place and we opened it up, and we had to move on to another show after that. The following day was Seattle, and I would assume that we probably had to make a run for it after we’d more or less finished. Q. Let’s be clear. You said you would assume. Do you have a distinct memory of what you did after you finished that first show on December 26, 1968? Yes, you do, or no, you don’t? A. I have a memory of after having done the show, yes, I do. Q. And is that memory that you immediately ran out the door? Q. Is that memory that you didn’t hear any of Spirit’s set, who played right after you? A. Oh, it certainly – it certainly doesn’t have anything to do with Spirit, my memory recall at this point. Q. And do you recall any other music being played by any other band that night? A. No, not necessarily, no. Q. Your first time in – you’re in the United States, correct? Oh, no. Q. I’m sorry. You were there before. Mr. Plant – I’m sorry. This was not the first time you were in the United States, correct? A. No, that’s correct. I had been over here with the Yardbirds. Q. Right. And when you were over here with the Yardbirds, didn’t you become familiar with the band Spirit? A. I heard Spirit on the radio at that time. A. I think – you know, I think I did. It’s fair enough to say that. Q. So even before Led Zeppelin, when you were with the band the Yardbirds, you were familiar with the band Spirit, correct? A. I had heard Spirit on the radio over here and in the UK. Q. So to be clear, you were familiar with the band Spirit in the United States and in the United Kingdom from hearing it on the radio in two separate countries? A. Well, I had heard it. I mean, not all the time, but I had heard “Fresh Garbage” on the radio, yeah. Q. How many other songs did you hear on the radio prior to January 1971? THE COURT: How many other songs? MR. MALOFIY: Spirit songs. Spirit – excuse me. Thank you for the clarification, Your Honor. Q. – Spirit songs did you hear playing on the radio? Q. So let me get that correct. “Fresh Garbage” was on the first album. The second one you mentioned was “I Got a Line on You”? Q. That was on the second album, correct? Q. And the third song was – what was it? A. “Dark Eyed Woman” is on the third album. Q. When you – did you become a fan after hearing – a fan of Spirit after hearing “Fresh Garbage”? THE COURT: Well, it depends on what you mean by “fan.” Why don’t you – I don’t know. Why don’t you reask the question. THE COURT: Maybe there’s no other word you can use. MR. MALOFIY: I mean, I – I can step through it, Your Honor. THE COURT: Well, let’s – were you a follow of theirs after you heard their music? THE WITNESS: I didn’t follow it necessarily. After hearing “Fresh Garbage,” I just thought that was quite a good riff. THE COURT: So you enjoyed their music? THE WITNESS: Oh, yeah, I enjoyed what I heard. Q. In appreciating or enjoying their music, did you then want to listen to and buy the first album? THE WITNESS: I didn’t buy the first album. Q. Okay. What songs did you play on December 26, 1968, in Denver, Colorado? Q. What would be the next song? THE WITNESS: I don’t really remember. I don’t remember what the next song was. Q. Do you remember what was typical on your set list during those years? A. Yes, but I can’t – yeah. Yeah. I can remember numbers that we did, yeah. Q. Can you remember those songs that you did in those early years? Q. Can you – can you give me a typical set list or the set list that you used in – December 26, 1968? A. I can’t – I can’t give you like first number, second number, third number, fourth number, no. A. I can tell you – you want me – I can give a rough approximation of a set, but it doesn’t mean to say that it is the full set. It probably means it’s a rough approximation of maybe half a dozen numbers. Q. Approximation of a half a dozen numbers? A. Okay. Okay. So we did the “Train Kept A-Rollin”.” We would have done “You Shook Me.” We would have done “I Can’t Quit You Baby.” We would have done “Communication Breakdown.” Let’s see. Oh, “Babe I’m Going to Leave You,” we’d do that. Q. Is that all you can recall? A. Yeah. I’m sure Mr. Plant can probably do a better job than me, but that’s about it for the minute. Oh, sorry. “As Long As I Have You.” It’s obvious we did that. Q. And that’s – that’s the medley that contains the piece of music from “Fresh Garbage,” correct? MR. MALOFIY: We have Defense Exhibit 158, which is Bates’d as 100158. MR. ANDERSON: Your Honor, if counsel could please identify it to counsel so I know what we’re talking about. THE COURT: I thought he gave you the exhibit number. MR. ANDERSON: Right, but we don’t show a 158, so if I can just please see it. THE CLERK: I’m sorry. Could I get the Bates number again? MR. MALOFIY: Yes. It’s 100158. Q. Earlier on, you said you didn’t recall opening for Spirit, correct? A. Yes, I would have said that, yeah. Q. Okay. Can we – in this article, you said: “Page reflected on Zeppelin’s success, ‘It’s kind’” – quote, “It’s kind of funny on our first tour around we played second fiddle to other groups. Last time we were the second group and Spirit was – and Spirit was the third. Now we’ve each gone up a notch on the current to where Spirit has second billing.” This is from June 7, 1969. Did you forget that you opened for Spirit in the last 30 years? A. Well, I didn’t think we did open for Spirit. And actually – yeah, okay. Well, this is what I’m saying. As far as Denver, I thought it was Vanilla Fudge. But here I am now. This is 1969 you’re saying, so (indicating). MR. MALOFIY: May I publish this to the jury? I believe there’s no objection from defense counsel. THE WITNESS: Actually, I can’t see it on – my monitor isn’t working possibly, but I – oh, okay. MR. MALOFIY: I believe this – this monitor is not working, Your Honor. THE COURT: Well, we had one – there you go. MR. MALOFIY: For the orientation of the jury, I’m referring to the second column here and the top of the third. Q. Mr. Page, can you see that? A. To be honest with you, my eyes are really bad and I just tried with my spectacles and I can’t see. I can see the two – the yellow bits that I’m supposed to be looking at. THE COURT: Can it be enlarged at all? THE WITNESS: That will be fine. Thank you very much. THE WITNESS: Thanks. Oh, I see. Well, I see what’s written. Q. – that you toured with Spirit and opened for Spirit? A. That we toured with Spirit? Well, I can see what’s written. Q. Do you dispute the accuracy of the quote or do you just not remember? A. Well, I don’t really remember the context of – it’s referring to two times here, isn’t it, really. Q. Well, this is quotes attributed to you. Is there any reason that you would dispute this quote that’s attributed to you or is it just that you don’t remember giving this quote? A. I certainly don’t remember giving the quote, that’s for sure. Q. Do you dispute that you opened for Spirit? MR. MALOFIY: With the Court’s indulgence, just to be – so I know where I’m going with the – with the questioning of this witness, are we stopping exactly at 4:00, Your Honor? THE COURT: We’re stopping exactly at 4:00, which is about 30 seconds from now, so why don’t we break now. LOS ANGELES, CALIFORNIA; THURSDAY, JUNE 16, 2016 8:40 A.M. THE COURT: Okay. Let’s do it. Mr. Page, yeah, why don’t you take the witness stand. Do you have a recording? THE CLERK: And I’ll just remind you, you’re still under oath. THE COURT: – in front of the jury. But we want the record to indicate that the witness is on the witness stand, and there will be musical compositions played at this time. Go ahead. Why don’t we go ahead and play it. THE COURT: Counsel, can we identify what record that came from? MR. MALOFIY: This is the album recording of “Taurus,” from the 45 seconds to the end. THE COURT: On which record? THE COURT: I want you to be able to ask him as to all three, so we have to distinguish between the three. MR. MALOFIY: Thank you, Your Honor. It’s on the Spirit self-titled album_Spirit_. THE COURT: Thank you, Counsel. Next production. MR. MALOFIY: You’d like me to play them and then ask questions afterwards, correct? THE COURT: You’re not going to ask questions until the jury comes in. MR. MALOFIY: I’m sorry, we’re going to ask questions in the presence of the jury? MR. ANDERSON: And Your Honor, if I may, just so the record is clear, that was not – that omitted the first 45 seconds, I think is what counsel was saying, of that sound recording. MR. MALOFIY: From 45 seconds on. The relevant portion. THE COURT: Thank you, Counsel. MR. MALOFIY: Yes. And this is 39-A in our audio examples. THE COURT: And is it also starting 45 seconds into it? MR. MALOFIY: No, this starts from the beginning, and so – Mr. Page has testified that he has live albums of “Taurus” – excuse me, of Spirit, and this is a live recording of “Taurus” which I believe he may have. THE COURT: Okay. And do we know which record it’s from? THE COURT: Let’s call it the second song, then. THE COURT: Okay. Thank you, Counsel. MR. ANDERSON: If I may, Your Honor, if counsel could please identify it by exhibit number. And I believe that’s a 1990s live recording, so I would raise an objection of relevance, but just for the record. THE COURT: Okay. It will be overruled. The third recording that you’re going to play now? MR. MALOFIY: Yes, we did identify this as 39-A, Mr. Anderson. MR. ANDERSON: Thank you. I didn’t catch that. THE CLERK: Can I get the identification of the first recording? THE COURT: Counsel, we can identify them later. I know you’re taking some time to find that, and that’s okay. We can define those later as the first recording, the second recording, then the third recording. So why don’t we go ahead with the third recording now. I don’t know if you can describe what it is. MR. MALOFIY: Yes. This is the comparison video which Mr. Page had identified in his testimony as creating a lot of buzz on the Internet which he had heard. THE COURT: Okay. Why don’t we go ahead and play that, then. MR. MALOFIY: Just want to make sure it’s the correct one, Your Honor. MR. MALOFIY: – Mr. Page had identified. THE COURT: Okay. Thank you, Counsel. If you’d play the third one, please. THE COURT: Okay. Now you’ve heard three different versions. THE COURT: One is from the album, one is from a live production, and one is a comparison album. You’re familiar with all – excuse me. You understand you’ve heard all three now; is that correct? THE COURT: You’ve heard all three today. THE WITNESS: I’ve heard all three now. THE COURT: Okay. Okay. Counsel, we’re going to bring the jury in now and continue on to cross-examination, then. THE COURT: It would be direct examination. Pardon me? MR. MALOFIY: And I can ask some questions as to what he just heard? THE COURT: Yeah, you can. Well, sure. Yeah. THE COURT: Okay. We’ll be in recess. Bring the jury in. THE COURT: Okay. The record will reflect that all the members of the jury are in their respective seats in the jury box. Apologize, ladies and gentlemen, for getting started a little late, but we had to do some things before we got to court. And to keep you informed, because you should be, one of the things we did is, we played some recordings for the witness so the witness could hear those recordings. We didn’t play them for you because they’re recordings of Spirit of the “Taurus,” and that’s not going to come in front of you because it’s not the recordings that you have to look at to see what the comparison is. It is the deposit copies and whether or not the deposit copies are infringed, not the productions or the records themselves. So that’s why we didn’t play it in front of you, because we don’t want to confuse you with other things that you’re not supposed to be deciding on this case. Now, hopefully none of you spent time, as I told you yesterday, looking for the NBA playoff game. Wasn’t on. But tonight if you want to listen to it, I think you’ll catch it tonight. Are you all ready? THE COURT: Okay. Let’s go. We were at cross-examination – or excuse me, examination, and the record will reflect that the witness is on the witness stand. Q. You had the opportunity to listen to three separate recordings of “Taurus” which I played for you outside the presence of the jury, correct? Q. Were you able to hear them? Q. And it was your testimony earlier on that you have, in fact, in your possession and control, five Spirit albums, correct? Q. And one of them’s a double disc live album, correct? A. An official release, yes. Q. Now, when you listened to the first song, would you agree that the “Taurus” album recording and “Stairway to Heaven” album recording, Part A, is in the same key? Yes, it is? No, it’s not? THE COURT: Objection is sustained. Again, we’re comparing “Stairway to Heaven” to the deposit copy, not to some other recording that he may have heard, okay? Q. Sir, do you agree that there are – do you agree that “Taurus” album recording is in your possession and control? A. Sorry? Say that again. Q. You agree that the “Taurus” album recording that you just heard is actually in your collection, in your possession and control, correct? MR. ANDERSON: Objection, asked and answered. THE COURT: You may answer it. THE WITNESS: Yes, I have a copy of that first album. Q. And that first album is Spirit’s first self-titled album, correct? A. Yes. Quite right, yeah. Q. Did you have the opportunity to listen to the “Taurus” album recording as well as “Stairway to Heaven” Part A? MR. ANDERSON: Objection, vague and ambiguous. THE WITNESS: Umm, I’m not really sure what you mean by that. THE COURT: Why don’t you restate the question. Q. Do you agree that the “Taurus” album recording, which you just heard, and “Taurus” deposit copy, and “Stairway to Heaven” album recording are all in the key of A minor? THE COURT: Sustained. Counsel, we’re not concerned with the recording. You could ask him about the recording as to whether or not he had access to the song before, but if it’s similar to the recording, nobody cares. It’s not an issue in this case. The only issue is whether or not it’s infringing on the deposit copy. Go ahead, Counsel. Q. Sir, do you agree that you had access to “Taurus” and you had that album in your possession and control? MR. ANDERSON: Objection, calls for a legal conclusion, vague and ambiguous. THE COURT: Just a second. THE COURT: Overruled. That means you can answer the question. THE COURT: You want it restated? THE WITNESS: Yeah, please. Yeah. Q. Do you agree that you had the “Taurus” album recording in your possession and control? THE WITNESS: What I’ve said is, I have a copy of the album that contains “Taurus,” but that I – that I not – I didn’t have any knowledge of “Taurus.” So, in other words, a record appeared in my collection. Q. Do you agree that the “Taurus” deposit copy and “Stairway to Heaven” album recording are both in the key of A minor? THE WITNESS: I don’t know. Q. Sir, you’re a session musician, correct? A. Yeah, but I’m not familiar with the deposit copy. MR. MALOFIY: Well, one moment. We’ll provide Mr. Page Exhibit 2058, the “Taurus” deposit copy. Q. You do read and write music, right, Mr. Page? Q. And you’ve sat on hundreds of sessions, correct? THE COURT: Counsel, I’m sorry. You’re not familiar with the deposit copy at all? THE COURT: Can you testify, as to what you wrote, is that in the key of A? THE WITNESS: A minor, yes. THE COURT: A minor, okay. Q. And do you agree that what you wrote is a tempo roughly about 72 to 73 BPMs in the first 2 minutes and 14 seconds of “Stairway to Heaven”? A. Well, I never actually – I never actually checked the tempo, you know, the beats per minute. I don’t know. Q. You would agree with me that there’s something called a slow tempo, a medium tempo, and a fast tempo, correct? Q. And you agree that “Stairway to Heaven” is not a fast tempo, correct? A. Not – not at the beginning, no. Q. And you’d agree with me, in the first 2 minutes and 14 seconds it’s a slow tempo, somewhere between 72 and 73 BPM, correct? MR. ANDERSON: Objection, lack of foundation. Q. Would you like to count it out and maybe you can determine that? A. Well, have you got a – have you got a meter, then? Q. Umm, I can provide you one. One second. THE COURT: I don’t know, either. And I just want to remind you, Counsel, that there are time limits on presenting the evidence, and if you want to waste time going into it, that’s fine, I’m going to let you do that, but keep in mind that this is not going to extend the time at the end of the case when you go into things that can be done much quicker. Go ahead. Q. Let me just break it down. You agree that “Stairway to Heaven,” the first 2 minutes and 14 seconds, is a slow tempo, correct? A. Yes, I do. Yeah. Q. You’d agree it’s less than a hundred BPM, correct? A. Hundred BPM sounds fast, yeah. Q. Right. You’d agree it’s probably less than 80 BPM? A. Yeah, but I can’t – I can’t estimate where it is. I don’t know what beats per minute it is. But I – but I agree, yeah, it’s slow. Q. So as you stand up here on the stand, and being a session musician and playing guitar and music for 30, 40 years, you’re telling me that you can’t determine approximately what the BPM of “Stairway to Heaven” is? A. Yeah, I’m telling you that. Q. Okay. You’d agree that the main instrument in the first 2 minutes and 14 seconds of “Stairway to Heaven” is guitar, acoustic guitar, correct? Q. And you have a pad or an accompaniment with the recorders which John Paul Jones played by himself on his own, correct? Q. And you didn’t tell him what to play, correct? A. I didn’t tell him not to play. Q. Well, I understand that. My question is, you didn’t tell him to play those recorder parts, correct? A. He volunteered the idea of playing the recorders. Q. And initially your idea was to put acoustic guitar and electric piano, correct? A. – and then acoustic guitar with the first vocals, I always intended to have that as acoustic guitar. The electric piano was going to come in later. Q. And “Taurus” has electric piano and acoustic guitar, correct? MR. ANDERSON: Objection, Your Honor. MR. ANDERSON: That’s the performance. THE WITNESS: Oh, don’t answer. THE COURT: – you don’t answer. Let’s get the next question. Q. – of “Stairway to Heaven,” the first 2 minutes and 14 seconds, the structure is A A B A A B A A. You testified to that earlier, correct? A. Yes, you asked me yesterday. Q. And you agree that’s accurate, correct? A. Well, I believe it to be, yeah. Q. And the chord – and the structure, song structure of “Taurus” is A A B A A B; isn’t that correct? THE COURT: Of the deposit copy of “Taurus”? MR. MALOFIY: Yes, Your Honor. MR. MALOFIY: I need to pull up Exhibit 2058 for Mr. Page. Yeah, it’s already been published. That’s fine. Correct, Your Honor? THE COURT: Can you tell from looking at the deposit copy enough to answer his question? THE WITNESS: I mean, I can’t tell. MR. MALOFIY: One moment, Your Honor. Here it is. Q. Sir, was your testimony you can’t tell? A. Yeah. You’re asking me whether it’s A A B’s, A A’s. I can’t – I can’t really tell from this. Q. You want to step through it? Take a moment. A. Not necessarily. Because, how – you know, how I’m looking at this, the first – the first four bars don’t repeat. So that would be – it goes into a sustain on the – on the fifth and sixth bar, which would only give you one A, and I guess that’s a B, is it, coming up, or what? Q. Did you review the expert reports that were provided in this case by your side? Q. Do you have any reason to dispute that your experts identified the structure as A A B A A B? Q. Did you speak to your experts in this case at all? Q. Are you providing any expert opinion as to the similarities between “Taurus” and “Stairway to Heaven”? THE COURT: Well, we’ve already discussed the fact that he’s not an expert in this area, so he can’t give expert opinion. MR. MALOFIY: I’m just clarifying the issue to be sure that on cross, to be sure that defense counsel doesn’t elicit that testimony. THE COURT: Just go ahead with the next question. If he does, we’ll deal with it at that time. Q. Sir, did you do a musicological analysis on these two pieces of work? A. That’s – that’s about my input into it. THE WITNESS: – they knew it anyway. Q. And you’re not offering an opinion as to the similarities between “Stairway to Heaven” and “Taurus” as you sit here today, correct? MR. ANDERSON: Objection again, vague and ambiguous as to whether he means him personally. MR. MALOFIY: I mean him personally. MR. ANDERSON: Then that’s asked and answered. THE COURT: If you were asked for your opinion, the Court would sustain it anyway, because you haven’t been designated as an expert. So I’m assuming he’s not offering his opinion, because it wouldn’t be admissible. Q. Sir, as you sit here today, can you definitively state the structure of the deposit copy of “Taurus” which is in front of you? Yes, you can? No you can’t? Q. Can you identify the structure, the song structure. A. I prefer to hear it. Q. Prefer to hear it. Let’s do this. Hold on. A. Well, I’m asking if I could hear what was played yesterday. THE COURT: – his question is, just from looking at it, can you make that determination? Q. Definitively tell this jury what the structure of the song is. Yes, you can? No, you can’t? A. No, I don’t think I can. Q. Sir, would you agree that the harmony of “Stairway to Heaven” and the harmony contained in the “Taurus” deposit copy are the same? MR. ANDERSON: Objection, Your Honor. Again expert testimony. THE WITNESS: Umm, I don’t know what you mean by harmony. THE COURT: Overruled. I’m sorry? THE WITNESS: I don’t know what he means by the harmony. Q. Do you know what the word “harmony” means? Q. What does it mean, sir? A. It’s usually two notes or three note, three part harmony all joined together. Q. Would you agree that harmony is the combination of notes sounded simultaneously to produce chords? A. Umm, well, it could be an octave, which is harmony, but then it could be a third in the middle or a fifth, yeah. Q. Well, if you look at this deposit copy lead sheet of “Taurus” and you consider your composition “Stairway to Heaven” and we’re focused on the first 2 minutes and 14 seconds, do you agree that the harmonies are the same? A. No, I can’t really tell. Q. You can’t make that determination as you stand up there today, correct? THE COURT: That’s what he testified to. Q. Let me move forward. Do you see two – do you recognize two harmony lines – excuse me, strike that. Do you recognize two melody lines in “Stairway to Heaven” – yes, you do? No, you don’t? – in the first 2 minutes and 14 seconds? Q. All right. And those two melody lines, would you agree that it is the guitar, acoustic guitar progression, along with another part? Q. Well, you identified that there are two melodies in “Stairway to Heaven,” the first 2 minutes and 14 seconds, correct? Q. And what do you define those two parts, sir? A. Going in – okay. Q. Didn’t mean to interrupt. A. Going in counterpoint with that, on the top line is A, B, C, and then it goes down to F sharp. Q. G sharp, and then F, correct? A. – 7 over G sharp, yeah, and then a G minus – A minus 7 and then F, F – D with an F sharp bass. Q. Isn’t it F major 7? A. No. That’s at the end. I didn’t get there. A. Yeah, so it’s D and then it’s F major 7. Q. – of this ascending scale, correct? A. Yeah, going – going at counterpoint to the descending scale. A. It’s descending, which is A, G sharp, G, F sharp, F.
A. And then on the top line you have A, B, C, F sharp. Q. That’s what I’m referring to. Q. You recognize on the ascending line there is an AB pair, a BC pair, and C to F sharp, correct? MR. ANDERSON: Objection. First of all, objection, expert testimony. It also misstates the testimony. THE COURT: Sustained. We’re getting into expert testimony and both sides have designated experts to testify in this area. THE COURT: Remember what I told you yesterday. If I sustain the objection, you don’t have to answer. THE COURT: If I overrule it, you do. THE COURT: Don’t worry about it. I’ll let you know if – okay. Q. I’ll move forward, but just to understand your testimony correctly, you recognize two melodies in “Stairway to Heaven” Part A. Those are the descending chromatic line along with the ascending line A to B, B to C, C to F sharp? MR. MALOFIY: Okay, thank you. MR. ANDERSON: Misstates testimony and expert testimony. THE COURT: Overruled. Next question. Q. Are you familiar with the term “cadence”? A. Can you explain to me what “cadence” is. Q. – are you familiar with the rundown in “Stairway to Heaven”? A. Well, I am very, yeah. Q. It doesn’t go to the fifth, correct? A. I don’t know what you mean by the fifth. Q. Well, you have the first, which is the A minor. Q. And it doesn’t ever go to the E, correct? THE COURT: Overruled. He’s talking about his own composition. Q. You understand what I’m saying, correct? THE COURT: You can go ahead and answer. THE WITNESS: Umm, okay. Just – just ask me the question again, please. Q. Doesn’t – “Stairway to Heaven” chord progression does not go to the fifth. A. – would be the A, right? A. No, it isn’t absent, because it catches up at the end of the whole of this first phrase. It’s included there. So you’ve got your rundown coming from A through to the F sharp, F, and then it goes “dum, dum, dum,” and at that point, that’s where you get the E coming in. Q. Tell me the first chord. A. First chord is A minor. A. Is – it’s an A – A major 7 over G sharp. A. Is A minor 7. A. Is D with an F sharp bass. Q. Okay. Does it ever go to the E before it resolves back to the A? A. The E chord or the E note? A. Yes. After it goes – after the F sharp major, it goes to like a sort of tail end, “dun, dun, dun,” and that’s where the E is there. It’s then in – playing in a fifth with the A.
Q. I’ll move forward. We’ll address that with your expert. Q. Did you see your expert reports? You said no, correct? THE COURT: He’s already testified no, he has not. Q. Okay. Is it your testimony that “Stairway to Heaven” does not descend the five pitches and avoid the fifth chord, the E? MR. ANDERSON: Objection, vague, ambiguous and expert testimony. THE COURT: Overruled. Do you understand the question? A. Yeah, it’s – it’s not actually an E chord. Q. It misses the E chord, I want to be clear, correct? A. Yeah, it goes to A minor, but the E is in an A minor. Q. You would agree that the “Taurus” deposit copy also misses that E chord? Q. Well, take a look. A. Actually, I can’t tell. Q. You can’t tell by looking at the “Taurus” deposit copy lead sheet? A. I can’t see very well. Q. Is there anything I can do to make that easier for you? Perhaps we can blow it up. THE COURT: No. Just move on to the next question. He says he can’t tell. Q. You’d agree that both songs start in A, on the note A? A. They start on – yeah. Q. Do you agree that every part of “Stairway to Heaven” is important? THE COURT: Excuse me. Overruled. You may answer. Q. What do you believe it is? A. I don’t know what it is. But it’s not – it’s not an octave. Q. It is an A, sir, correct? A. It’s an A note, but on the “Stairway to Heaven” it’s an octave. Q. There’s multiple A’s in a keyboard or an A in the note. THE REPORTER: One at a time. Q. They both start on the note A, correct? THE WITNESS: They start with an A note. Q. Do you agree that the first 2 minutes and 14 seconds of “Stairway to Heaven” is memorable and an important part of that piece of music? THE COURT: Overruled. Is it an important part of the music? THE WITNESS: Umm, yes, I think so. Q. Do you agree that the rhythm of “Stairway to Heaven” and the rhythm of “Taurus” are similar? THE COURT: As to the sheet copy? Are you talking about the deposit copy? MR. MALOFIY: Your Honor, you were very clear that we’re talking about the deposit copy. That’s why I have it in front of him as well. THE COURT: So your question is – say it again. State the question again. A. Well, I don’t know. It doesn’t have – you know, you asked me BPM, beats per minute. Does it have a BPM on this? THE WITNESS: It doesn’t actually say what tempo it’s at. THE COURT: Okay. So you can’t tell? THE WITNESS: I can’t tell. Q. My question’s a little bit different, Mr. Page. It’s not what the tempo is, it’s not what the BPMs are. It’s the rhythm. You can identify rhythm by looking at the notes and looking at the duration of those notes, correct? There’s whole notes. There’s eighth notes. Do you see that? Q. Can you see that? Q. You can see that, right? A. I can see. I can see that, yeah. Q. And you’d agree that those notes on that page indicate duration, correct? Q. And you’d agree with me that even in the signature it shows that it’s in common time, correct? A. It’s in common time, yeah, four-four. Q. Common time means four-four, correct? Q. You see that, correct? Q. And so you can determine the rhythm here, correct? A. But determine the rhythm – I can determine the pacing on there. I don’t know what – you know, I wouldn’t know whether that was – if I – if I saw a piece of music, I wouldn’t know what the tempo of it was unless it actually had an indication. THE COURT: Yeah, one at a time. Go ahead, Counsel. Q. You’d agree there’s a difference between tempo and rhythm, correct? THE COURT: No, no. I’ve already covered that. Is there an objection to that question? If there’s not, go ahead and ask it again, because we’ve been interrupted. Ask again. Q. Do you agree that there’s a difference between tempo and rhythm? A. Yes, I think I would. Q. All right. And they are two separate, distinct musical concepts, correct? A. Well, to me they are. Q. And you’d agree with me that you can determine the rhythm by looking at the “Taurus” deposit copy lead sheet, correct? THE COURT: Again, Counsel, you’re asking for expert testimony, so why don’t you move to the next question. MR. MALOFIY: If you can’t determine, I’ll move forward. MR. ANDERSON: Objection to the comment of counsel. THE COURT: Yeah. He hasn’t determined. He said he could or couldn’t determine. I sustained the objection. He hasn’t answered it. Next question. Q. Do you agree that – do you agree that you would double time pick the end of Part A on the acoustic guitar, of Part A of “Stairway to Heaven”? THE COURT: Overruled. Overruled. You may answer. THE WITNESS: Umm, on the very last measures of where the vocals in, you mean, in “Stairway to Heaven”? A. Yeah, I’m doing more of a rippling pattern when the fingers start. Sort of doubles up. Is that what you meant? Q. Do you recognize that on the “Taurus” deposit copy lead sheet? THE COURT: Counsel, he’s looked at it. He said he doesn’t. THE WITNESS: Well, when we were describing the chords, I – I omitted – I omitted something, getting caught up in the whole rundown thing, that it’s actually an A minor 7th 9th. THE WITNESS: Yeah, and that’s really important to distinguish these two. I’m so sorry. THE COURT: I’m sorry, you’re reading something in front of the jury. What is this? Why don’t you designate it first before you read hearsay in front of the jury? What are you asking of him? MR. ANDERSON: Objection. That’s a quote from what was played outside the presence of the jury. MR. MALOFIY: It’s not. It’s actually on the liner notes. We believe it might be one of the albums he has. MR. ANDERSON: And Your Honor, if he could show counsel, because I don’t believe that’s an exhibit that’s been produced. Thank you. MR. MALOFIY: This was produced, Counselor. I’ll represent that. And it was included in the things that we provided you. THE COURT: Are you talking about something he read on one of his albums? I don’t know what you’re asking. THE COURT: This is not – this is direct examination at this point, but that’s beside the point. He is an adverse witness. The question is, is what are you referring to? Is this a writing on an album cover? Is that what you’re saying? MR. MALOFIY: – published as part of the liner notes in albums that we believe Mr. Page has. THE COURT: And why would it not be hearsay? MR. MALOFIY: I’m using it to refresh his recollection and to also see if whether or not he ever read that or which album he has. THE COURT: Okay. Why don’t you show him the quote and see if he’s ever read it. MR. ANDERSON: Thank you. Thank you. THE COURT: Counsel, I gotta be honest here, I still don’t know where you’re going with it. If it’s a quote on an album he had, he still can’t testify to this unless he was the person making the statement. It’s still hearsay. So therefore, it’ll be excluded. MR. MALOFIY: I’ll move forward, Your Honor. Q. Outside the presence of the jury you heard a live recording of “Taurus.” Do you recall that? THE COURT: In fact, you heard three. Oh, one live recording, yes. I’m sorry, Counsel, you were correct. Number two was a live recording. THE COURT: Counsel, that’s a very improper way to get hearsay in front of the jury. THE COURT: If it’s a statement by Randy Wolfe or whoever it is, it’s a statement by him. You can ask him what he said, but you can’t ask him what somebody out of court has said. MR. MALOFIY: I wasn’t going to offer the statement. I was going to offer whether or not he heard it and agreed with it. THE COURT: – would be improper. MR. MALOFIY: I wasn’t going to. That’s why I wanted to confer with counsel. I wanted to ask him, did he hear the statement that Randy California made in regards to “Taurus” and “Stairway to Heaven,” and do you agree with that statement? THE WITNESS: I disagree with that statement. MR. MALOFIY: Thank you. Could we play audio exhibit 2023-V. Excuse me. Video exhibit 2023-V. THE CLERK: I’m sorry, 2023? MR. ANDERSON: If we could have just a moment, Your Honor. THE CLERK: And are you going to ask to have that moved in? THE COURT: Okay. Any objection? THE COURT: It will be received. You may publish it. MR. MALOFIY: Twenty- – I’m sorry, 2023-A. MR. ANDERSON: Your Honor, could we just have a moment? MR. MALOFIY: You want a moment? MR. ANDERSON: If I could just ask counsel? MR. ANDERSON: No objection, Your Honor. Q. Sir, are you familiar with that piece of work? Q. And in fact, in your declaration in this case, you referenced it as giving you an idea to use in “Stairway to Heaven,” correct? A. I don’t think – did I say it like that? Q. I think you said it like that. Do you recall that? A. That’s not exactly right, but what I did say is that it has the same four note rundown – or five note rundown on this one as “Stairway,” yeah. Q. Sir, is it your testimony that “Chim Chim Cher-ee” inspired you to write “Stairway to Heaven”? A. No, I didn’t say that. Q. Is it your testimony that you used the compositional elements in “Chim Chim Cher-ee” to write “Stairway to Heaven”? Q. Is it your testimony that “Chim Chim Cher-ee” and “Stairway to Heaven” have similarities to them? MR. ANDERSON: Objection, Your Honor, expert testimony. MR. MALOFIY: It’s his declaration. Q. Sir, do you remember your declaration? A. No. Not verbatim, no. Q. Did you write your declaration? A. Oh, sorry. The declaration. A. Sorry, I was getting mixed up with the deposition. The declaration. Is that the discovery, is it? MR. ANDERSON: Objection. I believe it mischaracterizes the document. Q. Do you recall in your deposition that you identified “Chim Chim Cher-ee” as a piece of work that you used as inspiration for “Stairway to Heaven”? A. I don’t believe that I did say it like that. Q. How do you believe you said it? A. Well, it’s – it’s slightly confusing. I think I may have said that it – that the chord se- – the chord sequence is very similar, because that chord sequence has been around forever. Q. Do you recognize that chord sequence that you just said has been around forever is the same chord sequence that “Stairway to Heaven” has with the “Taurus” deposit copy? You recognize that? A. No, I wouldn’t go so far as to say that. Q. You said if you heard – when you heard “Taurus” the first time, it was unique and you would have recognized it. Do you believe that there are similarities or there are no similarities in “Stairway to Heaven” and “Taurus” deposit copy? MR. ANDERSON: Objection, mischaracterizes the testimony yesterday. THE COURT: Okay. Let’s get off “Chim Chim Cher-ee” for a second. Why don’t we state the question again. Q. You recognize similarities in “Chim Chim Cher-ee” and “Stairway to Heaven,” is that what you’re telling this jury? Correct? A. It’s – yeah, a sequence, yeah. Q. – that would have – excuse me. Q. You can’t determine that. THE COURT: That’s what he’s indicated, he can’t determine. MR. MALOFIY: Let me do this. THE WITNESS: I believe we heard the deposit copy yesterday of the “Taurus,” and you could hear the descending line. Q. You’d agree that it has a descending line, correct? MR. ANDERSON: Your Honor, again, if he could wait, if counsel could wait until the witness is finished talking. THE WITNESS: Yes, I do. Q. And do you agree that also it’s a descending arpeggiated line? Correct? A. No, no, no. Wait a minute. I – no. I need to be refreshed on the “Taurus.” No. I – I – I – what I said was, I could hear that there was the descending line. That’s what I said. THE WITNESS: I really need to hear it again to be able to give expert opinions. THE COURT: Excuse me. Next question. MR. MALOFIY: Yes. I’d like to play for Mr. Page what we previously had played, which is the “Stairway to Heaven” Part A re-recording, 524-V.
MR. ANDERSON: Objection. I’m not sure why we’re playing a re-recording rather than “Stairway to Heaven.” That’s the allegedly – that’s the work that they’re suing over. MR. MALOFIY: Your Honor, we’re just focusing on the Part A, that’s why. We’re just – we’re not focusing on the other elements that are not copyrightable. We’re just focusing on Part A. THE COURT: I’ll tell you again, you have time limits. You’re wasting a huge amount of time getting into quasi expert – he is not designated as an expert. You’re going to have – I’m assuming you have experts. I don’t know if you’re going to have time for them, but I’m assuming you have experts that are going to testify in this area. Just use your time judicially is all I’m saying. Q. Sir, is it your testimony that “Stairway to Heaven” was written in – was written in 1970, 1971? A. 1970 I think I would have said. Q. Was it recorded in 1971? A. I think it’s recorded at the end of 1970, in December. Q. Now, is it your testimony as you sit here today that the recording of “Stairway to Heaven” and the writing of “Stairway to Heaven” occurred at Headley Grange? A. The compilation of “Stairway to Heaven” as far – Headley Grange, yes. Q. And do you agree that the album recording took place thereafter at Island Records? Q. And do you agree that after it was tracked at Island Records, you then came to the United States and you did additional mixes of “Stairway to Heaven”? A. Umm, along with other tracks from the fourth album. A. No. What do you mean by additional work? Q. Well, you were mixing it in the studio in L.A., correct? A. Oh, I see. Mixing. Yeah. Q. Am I – is that accurate? A. Yeah, that’s – mixing, yeah. Q. And would you agree that it was called Sunset Studios where you mixed it in? Would you agree it was in Sunset Studios where you mixed it? THE WITNESS: I seem to remember it was called Sunset Sound, but it could be Sunset Studios. Q. And do you agree that the mixed version that was recorded – excuse me. Strike that. Do you agree that the mixed version that was done at Sunset Studios was recently released as part of the reissues in the last three years? Q. You say that you wrote “Stairway to Heaven’s” guitar intro, the first 2 minutes and 14 seconds, by yourself, correct? Q. And you also say that later Mr. Plant had added lyrics; is that correct? A. Yes. At Headley Grange. Q. And it’s your testimony that this occurred at Headley Grange, correct? A. The process where Robert is writing the lyrics with me, yes. Q. Isn’t it true that you initially wrote only the introduction of “Stairway to Heaven” on an acoustic guitar, Part A, and Mr. Plant had added some lyrics at a Welsh cottage called Bron-yr-Aur? MR. ANDERSON: I’m sorry. Withdrawn. THE COURT: Okay. You may answer. Q. Why do you say it’s incorrect? A. Because it wasn’t – it wasn’t something that we were doing at Bron-yr-Aur. It’s something that was done after we were at Bron-yr-Aur. In other words, we did it at Headley Grange. Q. Do you recall the band members of Led Zeppelin, including yourself, saying that it was written, just the intro, the Part A, at a cottage in Bron-yr-Aur with an acoustic guitar, and maybe Mr. Plant had added a few lyrics? You don’t recall that, correct? A. The members of the band saying that? No, I don’t. I don’t. A. However, however, I do know that there is, and I guess this is what you’re going to show me, an article whereby I say it starts at Bron-yr-Aur. A. There is an article where I’m quoted as saying that – that it was – that I was playing the introduction at Bron-yr-Aur, but it’s not right. Q. Let’s play clip 100165-A, ZigZag audio. THE CLERK: Is that in evidence? MR. MALOFIY: It was – it’s not in evidence in this case as of yet. It was defendants’ exhibit. THE COURT: Want to introduce it? MR. MALOFIY: Yes, I do, Your Honor. MR. MALOFIY: It’s defendants’ Exhibit 165. I just prefaced it with 100,000 so it wouldn’t change the Bates, to make it easy and clear. THE CLERK: And can I get the page number from 165? MR. MALOFIY: It’s audio. So it’s 100165-A. THE COURT: Why don’t you both go over at a break, and you can re-call the witness if you wish. Unless you want to waste time now and talk about it. MR. MALOFIY: This was produced by defendants in discovery. THE COURT: Counsel, you want to discuss it, that’s fine, but it’s eating up time. This should have been done before trial. All of this should have been done before trial. That’s part of the preparation for trial. THE COURT: So Counsel, if you want to talk about it, that’s fine, but it’s going to come off your time. If you’d like to wait until the next break and talk about it, that’s fine, and you can re-call this witness and play it for him then, whichever way you want to go. MR. MALOFIY: Just for the record, these were all provided to counsel before trial. THE COURT: Counsel, I don’t want to get into the discovery and the lack of professionalism and the discovery in this case and before this case. You know and I know what we would be talking about. Go ahead and do what you want to do. THE COURT: Ladies and gentlemen, let me ask you, because I normally break to give you an even amount of time before and after. If you want to break now while they’re discussing all this, we can do that, or we can wait until 10:00 o’clock. Do you have a preference? You want to break now? Okay, let’s break now, take our 15-minute – that means the second session’s going to take a little longer. That’s okay? Okay, we’ll break now. Remember the admonishment not to discuss the case among yourselves or with anybody else or form or express any opinions about the matter until it’s submitted to you and you retire to the jury room. We’ll see you back in 15 minutes.